Manchester City star Raheem Sterling has again got himself on the scoresheet for England. 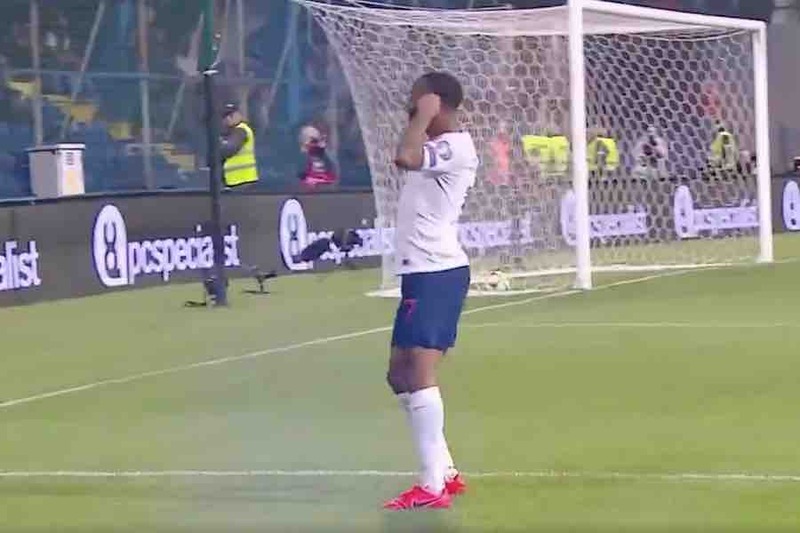 After scoring a hat-trick in last week’s 5-0 win over Czech Republic at Wembley, Sterlings scored the fifth goal for the Three Lions in Montenegro this evening. Playing on the full-back’s shoulder, Sterling got on the end of a delightful through-ball from his former Liverpool team-mate Jordan Henderson. He made no mistake with yet another cool finish. You can see Sterling’s goal in the video below.